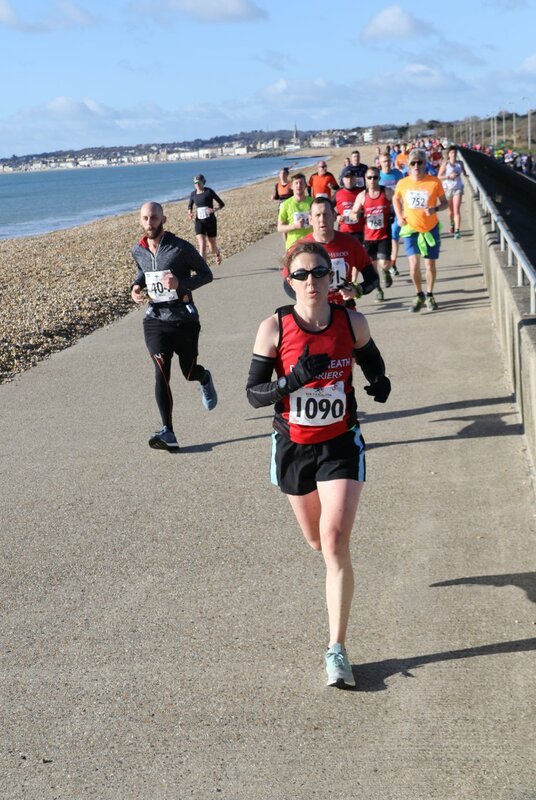 There seemed to be lots of events taking place last weekend throughout the country, despite the gale force winds and rather chilly temperatures. March is still pretty early in the season, and our athletes are getting started with some great early season race practice, to sharpen up, practice different strategies, and gauge how their training is going. First up was Steve in the Upton 5k – after an aerobic run there, he smashed the off road park run in sub 18 mins coming in first overall. I think we can safely say he is in good form, as the last two running events will also indicate. We need to line up some slightly warmer duathlons to get some transition practice in, leading up to the World Champs in Slovakia in a couple of months! As previously mentioned we had quite a few athletes lining up in half marathons on Sunday, all with different goals – from testing out the distance for the first time, to racing at the end of a hard block for some mental toughness, and endurance building in preparation for Ironman in a few months, and many more process goals in between. 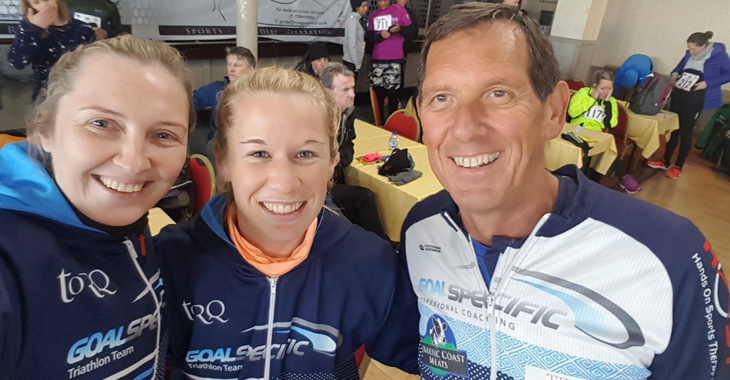 Well done to Becky, Helen and Eric, who finished their events with PBs (a 1.31 from Becky, had to be a PB as it was her first ever Half marathon and the last 5k was all off road! – plenty more to come there!) Helen, who despite racing the Grizzly last weekend, still managed to finish seconds away from a sub 1.40 and posted a pb. Eric sticking out like a sore thumb I imagine in the crowds due to his incredible tan, also posted a pb, with a niggling knee and carrying some fatigue from a big training week in Lanzarote. 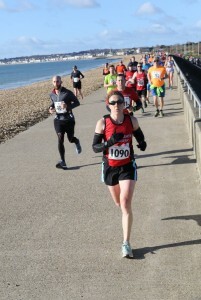 Bex, Mike and Marta also lined up in the Weymouth half, and battled it out with the wind and the cold, and had their own mental battles to contend with throughout the race, (Bex freeezing cold on heavy legs (though the cold is all good practice for Neptune! ), and Marta having a rough few months with illness ). Mike is in super form and broke his 10k pb in the first half of the race but a niggling cramp problem in the quad meant he made the wise decision not to push himself as there are much bigger fish to fry in the next few months. Further afield, Mark and Anthony were racing at Reading Half. It was touch and go whether Anthony would make it after a sickness bug all week, and Mark due to crazy travel and hours with work. However, both made it to the start and put in great performances considering the lead up into the event. Finally Rachael also illustrated how her endurance and strength is developing by finishing a tough training week, with a really hard off road hilly race……just getting stronger and stronger. Whilst this was happening, Ade and I were working the swim squad hard on Saturday, and seeing some great results due to their hard work and consistency.